EDL offers two different zirconia frame work materials for porcelain to zirconia restorations. We now have a long track record producing Lava crowns and bridges. In addition we now offer a more economical solution CAP QZ. Both materials are layered with Noritae CZRl layering materials. CAP QZ is isostatically pressed and offers a flexural strength of 1200MPa. Designed the way you want them! We are proud to be using all Noritake CZR porcelain for all layering ceramic materials. 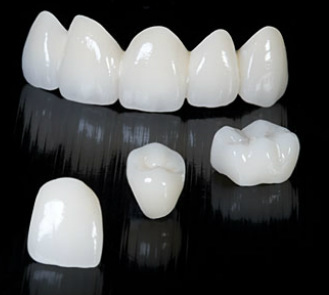 This compete ceramic system offers our ceramists a material that is truly enamel and life like.